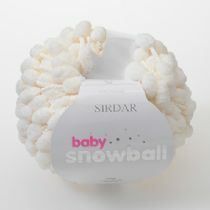 Snuggly Bubbly is a novelty pom pom texture yarn, with all of Snuggly’s famous softness. Snuggly Bubbly comes in a range of the prettiest baby pastel colours, which match beautifully to Snuggly DK for tiny trims and ribs. 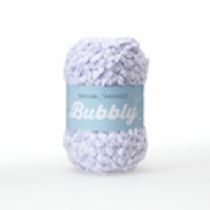 Snuggly Bubbly is machine washable, easy care and fantastically easy to knit. OFFER INCLUDES FOUR FREE KNITTING PATTERNS FOR ALL ORDERS OF FIVE BALLS OR OVER. Snuggly Tutti Frutti is a brightly coloured chenille yarn perfect for babies, tots and older children alike. It comes in a range of shades including pastel baby shades, bright pinks and purples and white and beige. 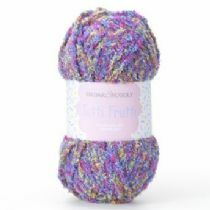 Each of the Snuggly Tutti Frutti shades has colourful neps running through it that creates a fun, cosy look. Snuggly Tutti Frutti is machine washable on a wool cycle. Blend: 80% Polyester 20% Rayon. Ball weight: 50g. Yardage: 104y / 95m. Needle size: 5mm. Tension: 13.5 sts to 24 rows on 5mm needles.